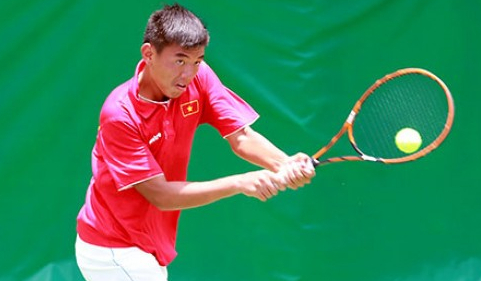 HA NOI (VNS) — Viet Nam's number one player Ly Hoang Nam advanced to the second round of the ITF's Asian Closed Junior Championships, after beating India's Aryan Goveas yesterday on April 13. Nam, seeded number one in the championships being held in New Delhi, beat Goveas 6-2, 7-6 (6) within an hour in the boys' singles event. He will next meet the winner of the match between Vasisht Cheruku of the hosts and Rio Noguchi of Japan. Today, the Vietnamese player will also compete in the doubles category.